This amazing Chic Minimalist collection by local independent designer Yunita Yapi is influenced by a minimalist wedding. 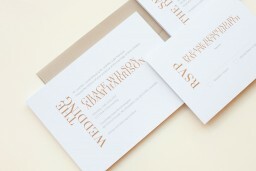 these design invitation play up with cool serif typography that makes an incredible impact with gold raised foil and clean design. and would fit perfectly for those planning a minimalist ceremony or reception. 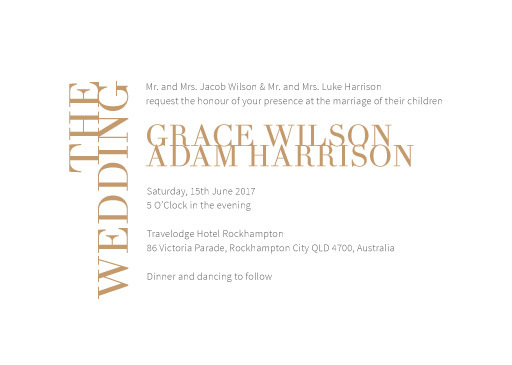 This Invitations card from the greater set looks amazing when printed using Digital Printing technique and when it comes to stocks, we think it looks best on Paperlust Linen.